Vladimir Ovodok studied piano and conducting at the Belarusian State Academy of Music in Minsk and completed further studies in conducting at St Petersburg State Conservatory. In 2015 he was invited to work with Riccardo Muti and the Orchestra Giovanile Luigi Cherubini at the Italian Opera Academy in Ravenna assisting during the production of “Falstaff”. He was subsequently reinvited to Ravenna and in 2017 he conducted highly successful opera trilogy (“Cavalleria rusticana”, “Pagliacci” and “Tosca”) directed by Cristina Mazzavillani Muti as part of the Ravenna Festival, which launched his international career. Vladimir Ovodok works frequently with the Symphony Orchestra of the National Belarusian Television and Radio in Minsk and Moscow Philharmonic Orchestra. Since 2015, he is also Chief Conductor of the Symphony Orchestra of the Opera Studio at the Belarusian State Academy of Music. “Vladimir Ovodok, a young Belarussian conductor of Riccardo Muti Opera Academy, conducted the Orchestra Cherubini with energy, passion and nuanced precision”. Born into a family of musicians, Vladimir Ovodok studied piano and conducting at the Belarusian State Academy of Music in Minsk where he graduated with honours in 2009. He completed further studies in conducting in 2010 at the Opera and Symphonic Conducting Department with Vyachaslav Volich, and at the special conducting course at St Petersburg State Conservatory with Professor Alexander Alekseev. He was also mentored at the time by Vassily Sinaisky, Music Director and Chief Conductor of the Bolshoi Theatre in Moscow. Vladimir Ovodok participated as conductor in the International Bartok Festival in Hungary with the Savarian State Orchestra and attended numerous conducting masterclasses including with Colin Metters and the Lithuanian State Symphony Orchestra in Vilnius, as well as with Yuri Simonov and Moscow Philharmonic Orchestra. Vladimir Ovodok’s international career was launched in July 2015 when he was invited to work with Riccardo Muti and the Orchestra Giovanile Luigi Cherubini at the Italian Opera Academy in Ravenna where he assisted during the production of “Falstaff”. He was reinvited to Ravenna in the subsequent years, and in 2017 he successfully conducted Opera Trilogy (“Cavalleria rusticana”, “Pagliacci” and “Tosca”) directed by Cristina Mazzavillani Muti as part of the Ravenna Festival. Vladimir Ovodok works frequently with the Symphony Orchestra of the National Belarusian Television and Radio in Minsk where he conducts concerts and recordings. Since 2015, he is also Chief Conductor of the Symphony Orchestra of the Opera Studio at the Belarusian State Academy of Music. 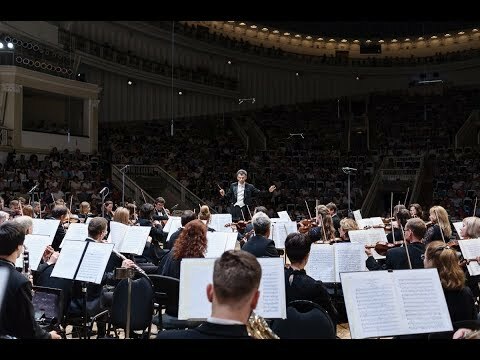 Future guest conducting engagements include the return to Moscow Philharmonic Orchestra and to the Orchestra Giovanile Luigi Cherubini in Ravenna.